Crossposted from shutterspeed, where the new prompt is Purple. Oh, I've been seeing so much purple out and about! 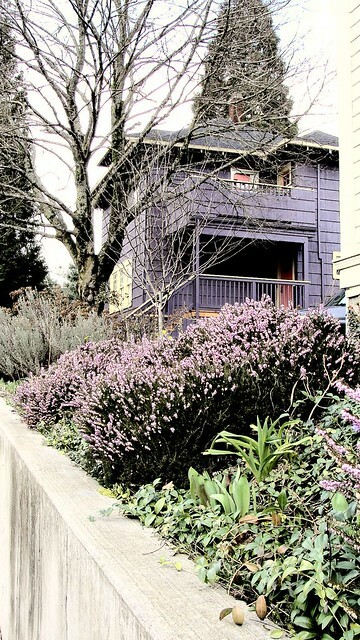 I rode my bike through inner Southeast Portland yesterday, and purple positively abounds there. ...and I've got more for later. There is nothing like that first faint sign of spring in the Pacific Northwest--i.e., a glimmer of light--to make me get out my camera again.